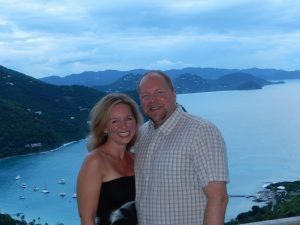 After years of growing a corporate career, building my dream house in Minnesota with my husband, Bill, and living a lifestyle of abundant “things,” something wasn’t right. By saying “yes” to my job, my house, and my current lifestyle – I realized I was saying “no” to the more important things in my life. Something needed to change. Life was good, but I wanted it to be great. And I’m not one to settle! So I hired a Coach to help me navigate the journey and get clear on what I really wanted and what I needed to do to make it happen. After every session with my Coach, I remember excitedly telling Bill: “Someday, I want to do for others what my Coach is doing for me!” Because it was so empowering. Life Coaching doesn’t give you the answers to what you should be doing with your life. Instead, coaching helps you clear away the clutter to get at your own answers of what’s right for you. After all, we are each the expert in our own life. Most of us, though, could use a little help – from an objective perspective – in getting clear about what we want and how to get there. With my Coach’s help, I clarified my priorities and devised a plan of action. I knew that I, too, wanted to become a Life Coach and start my own business, even though I didn’t know the first thing about being a business owner! But the dream became so strong that it began calling me. I enrolled as a student at the Coaches Training Institute. What a thrill to do it with Bill and experience all the incredible growth – and hard work – together! Upon graduation, I launched our LifeShine® business on the side (woohoo!) and began my all-important work. I couldn’t have been in a better fit professionally, and I loved every moment working with my clients. I got to a point where I simply couldn’t be stopped. I was on-fire! And my coaching – in its infancy – was already impacting lives, big-time. The work I was doing with clients jazzed me and filled me up, to no end. And my clients were lighting up the world. I couldn’t think of a better win-win! 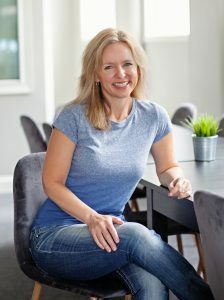 Then I made a commitment to dedicate my business life to helping professional women make intentional choices, take mindful action, and embrace joyful living – through my private coaching, workshops and retreats, writing, and speaking events. Within the year, we sold our custom-built dream home where we previously thought we’d retire. I left my job. We sold our boat. We downsized. Got rid of a ton of “stuff.” Moved into a townhouse. Our friends laughed with us because while they and other thirty-somethings of the world were up-sizing their lives, we were laser-focused on downsizing and simplifying. We were in uncharted waters; we were definitely taking the road less traveled. It was then that I jumped into my new business full-time. After saying “no” to the things that served as distractions in my life, I was able to say a bigger “Yes!” to the things that mattered most to me: A flexible schedule, a feeling of freedom, a low-maintenance lifestyle, time and resources for vacation and travel, being my own boss, simplicity. So exciting! I’m now living my dream, helping others live their dream! It has been a richly rewarding and joyful ride these past 15+ years to focus on a career that is so congruent and aligned with my true spirit. Since the beginning, I’ve worked with hundreds of private clients, spoken in front of countless groups, and created the LifeShine® Positive Change SystemTM – a series of seven important steps every professional woman needs in order to help her make lasting positive change and live a life of greater joy. Because I’ve been there myself, my clients benefit from expert coaching and mentoring from someone who ‘gets’ it and who’s done the work, and most importantly – walks the walk. I’m so excited and honored to continue to help my clients live the lives that they have always dreamed of living, one step at a time. Lastly, here are the two joyful members of my team who support me in making it all happen: My hubby, Bill, and LifeShine’s Happiness Manager, Jill. Lucky me to have these two cheering me on! Positive-Focused: I focus on the positive and radiate enthusiasm, appreciation, joy, and gratitude for life. I’m a cheerleader for you…always rallying, inspiring, motivating, and encouraging. I place importance on celebrating successes and milestones; it’s gotta be fun! I focus on what’s going well and help you capitalize on what already works. Together, we focus on ‘forward’ movement by exploring possibilities, options, and new perspectives. Success-Focused: I get a high from drawing out potential in my clients where new possibilities come alive. I love to facilitate learning, development, and growth to help my clients experience success. Your success is my fuel, and it’s a thrill for me to watch my clients go from good to great! Excellence is my measure, and I love helping my clients reach their own level of excellence. My coaching is a catalyst for powerful change! Integrity-Focused: From day one, I’ve worked with my own Coach. So I know what it’s like, weekly, to be the client; I’m never out of touch with that facet of the relationship. I live with integrity and walk the talk. It’s essential not only for my role as a Coach, but for my own well-being. I invest in myself regularly, personally and professionally, so that you get the best Coach who’s always staying on top of her game! Joy-Focused: I’m a big believer in following the things in life that bring you joy! I work with my clients to identify what brings them joy and then figure out a plan to get more of it in their life. It’s a foundation – and recipe – that leads to a happy and successful life. In addition to being a Coach, what brings me joy? I’m a lover of life, classic rock concerts (front row! ), vacationing in the Caribbean, happy hour, dogs, paying it forward, watching storms, celebrating life with good friends, dancing, outdoor festivals, hip restaurants and local attractions, spreading joy to others, spa retreats, adventuring and exploring our expansive world, summertime, road-tripping, boating on the lake, and just “being” in nature…all with my soulmate and favorite guy, Bill. Are we a right match and are you ready to take the first step? Contact me for a free 20-30 minute “Get Acquainted” call to chat and see if I can help. I look forward to hearing from you!